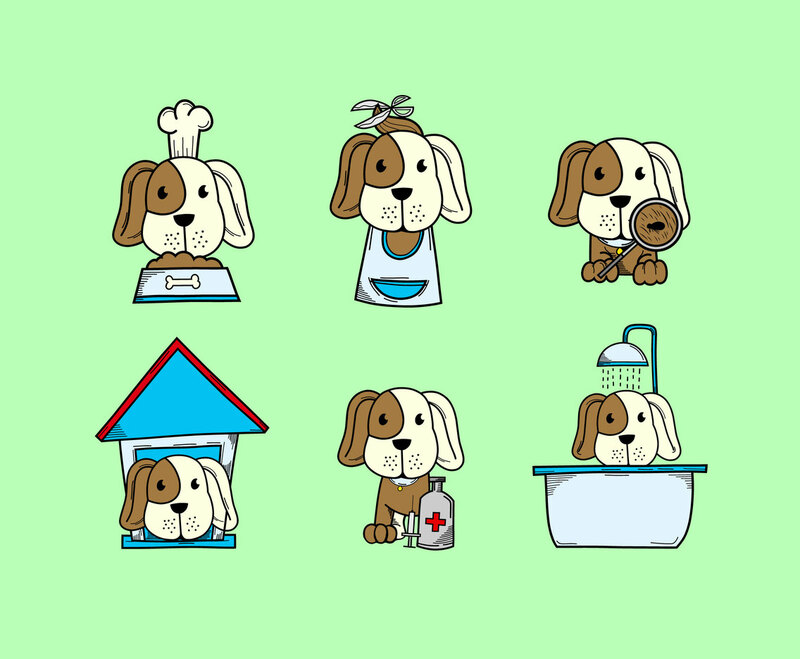 A dog will always need regular care and that's why we create a set of dog grooming and care vector illustration. It will be nice to include this puppy to your flyer or brochure design as well as your business card design if you run a pet shop and care or if you're a vet. It's free to download!